Quite a bit to chew on in this episode. Let's talk about social media and privacy rights in these days of social media. Many of us like to feel like part of the international community on the internet, but we also want to enjoy some level of anonymity, or at least safety from overreaching. Some of us overshare and come to regret it later, while others are doxxed and harassed for incredibly petty reasons by people who mean us harm. It's a bizarre paradox, our desire to have an imprint on the internet, but also be shielded from its consequences. Can anyone who regularly uses the internet truly have an expectation of privacy in an increasingly borderless world of information? This episode touches on that question. 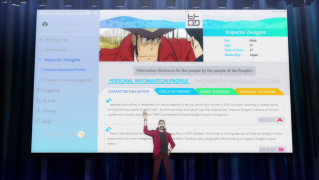 Whereas with the Lupin Game that started this series was about specifically tracking down and killing Lupin for the amusement of a select group of internet sociopaths, the effect of PeopleLog on our favorite thief's career is out of a more general transparency of information throughout the entire internet. It's almost admirable, in a way, that such a program could be used to warn people of thieves like Lupin. 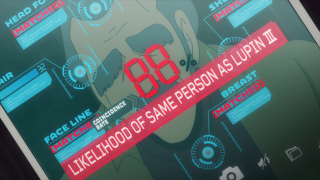 We side with Lupin because we like him as a character, but in some ways, what Enzo is doing is providing a safeguard against those Lupin takes advantage of, even though, as we can see by all the cameos, many of those people are also pretty crappy people. However, what is lacking in the information his past victims' provide the database is the context in which he put one over on them. As is much of the dug up tweets and old shames of our early internet lifespans. Just look at the James Gunn controversy. Context is key. But PeopleLog doesn't care. It provides the truth, but not the whole truth. 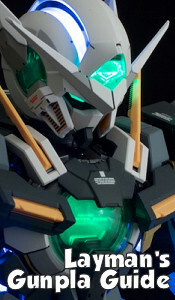 Enzo, as we saw from his sneering glee in the Padar arc, is more than happy to tear down the walls between nations and citizens for a global community, so long as he is the maestro, as long as he conducts the symphony of this information revolution. Pinning Lupin down isn't out of revenge, like the Lupin Game people, but perhaps an even more dangerous goal, testing this app that removes a lot of the privacy we enjoy as citizens. And even though Lupin is a thief and is used to being on the run, where does it stop? 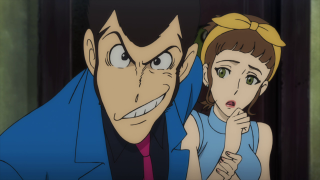 I doubt this series intends to come to any meaningful conclusions, but I think it's interesting and valuable enough that it even addresses these concerns about modern life while still remaining a good Lupin show. And oh boy, look at all the name drops and cameos in this episode, mostly from Part II, but a few from other parts. We have Socrates Nexus, a mob boss who forced Lupin to race for him in the Grand Prix in Part II. Lord Weather, whose horse Red Arrow Lupin stole in Part II. George Marshall, the guy the English dub of Part II gave a hilariously bad Christopher Walken voice to (he's the guy who strapped that bomb belt on Lupin with the three lights). Hatler, the terrible tyrant with a toupée from Part II. 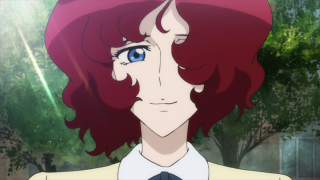 But also we see Catherine from Part I's complaint about Lupin stealing the Eye of the Nile from her. And Pietro, Rebecca's obsessed superfan/kidnapper from Part IV. Of course, we also see Zylberstein, from just a couple of episodes ago with the chess game (don't know why he's so mad, he won the game). 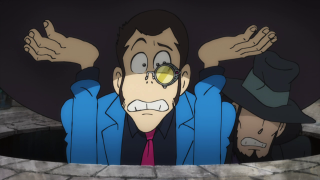 If there's one thing Part V shines as, it's as a celebration of all things Lupin III. What it hasn't done quite as good is follow through with it's interesting story arcs. 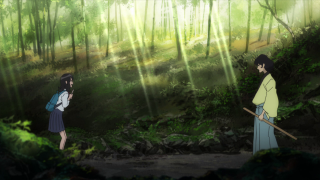 So here's hoping this one continues, and ends, in high quality. But at least Fujiko was nekkid at the end of this episode, so that's always good. Looks like Goemon's tired of being seen as just Lupin's lackey and is about to do something about it in the next episode. It'll probably involved a bit of bloodshed.